Greenskeeper Lawn Care was founded in 1964 by Ernest Apciprete. The lawn care industry at the time insisted on the indiscriminate use of pesticides – more was better. Large 1,000 gallon spray trucks cruised the streets. Blanket application was the norm. When I (Joe Konkol) purchased Greenskeeper Lawns from Ernie in the late 80’s, I was amazed by the approach lawn care companies were using. My training had given me a more versatile view on lawn care. I knew more chemicals couldn’t be the answer. A change of direction was needed. 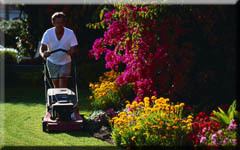 Greenskeeper Lawns became Greenskeeper Lawn Care, Inc. I implemented an integrated pest management system using only target controls (applying only where a problem was visible) with an absolute minimal use of pesticides. Greenskeeper Lawn Care continued practicing target management successfully for the next 10 years. In 1999, I hired an experienced 3a license holder, Gary Schwarz. Gary had been in the lawn care business for over 15 years. We were both in agreement when it came to integrated pest management and limited pesticide use. 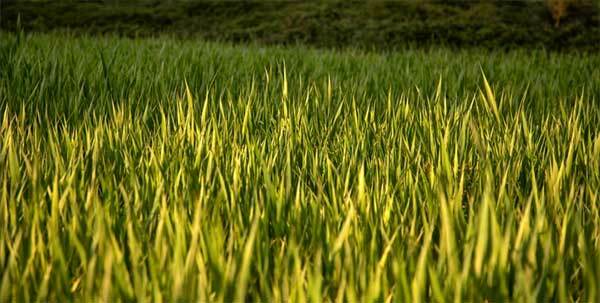 Our belief was that the foundation of a lawn is its soil. We began using an organic blend process that would nurture the soil with rich organic materials. This would result in a deeper root system; reduce thatch and a healthy green appearance. Our customer satisfaction grows to this day. Greenskeeper Lawn Care, Inc. will continue its environment-friendly, organic based blend applications and pest management programs. As new productive and cost effective organic products become available, we will integrate them into our program with the goal that eventually, all chemicals will be phased out. At Greenskeeper Lawn Care we are committed to having a qualified, licensed staff to suit your needs. This past winter we sent some of our employees to a 3-month course at the University of Connecticut for their Department of Environmental Protections supervisor’s license. This turf and ornamental course covered state regulations, lawn diseases, pest identification, and all other aspects of lawn and shrub care. This course was followed by a 300 question written exam, which was administered by the D.E.P in Hartford, Ct. Upon passing the written exam they required an oral test in front of a panel of D.E.P representatives. Our technicians are now qualified to perform all services as well as answering any questions you may have about your property.